Sewio presented its first interactive workshop on Real Time Location Systems in the Czech Republic on 19th July 2016. We launched this workshop with the aim to introduce indoor locationing as one of the possibility of IoT and trending technology of Industry 4.0 revolution. By this event Sewio presented to participating companies representatives advantages brought by utilising the comprehensive knowledge of wireless technologies and the way how location platform helps to improve operational efficiency, reduces costs and shows an oversight of what is happening in the workplace in real time. First part was dedicated to theoretical introduction of indoor locationing and its connection with Industry 4.0. Milan Simek gave detailed presentation showing practical examples of the usage of Indoor localization and also presented three main verticals of application: logistics, retail and sport and entertainment industry. Previously implemented projects using Sewio´s platform were present to bring better imagination of purpose of UWB technology. During the second part of the workshop Sewio introduced practical live demonstration of RLTS platform installed directly to premises. Our visitors obtained tags and they could personally experience the digitization of motion. Motions of tags were projected trought Sensmap directly on projector screen in front of them. Milan Simek showed real examples of RLTS platform installation, configuration and data access and practical cases of customization. 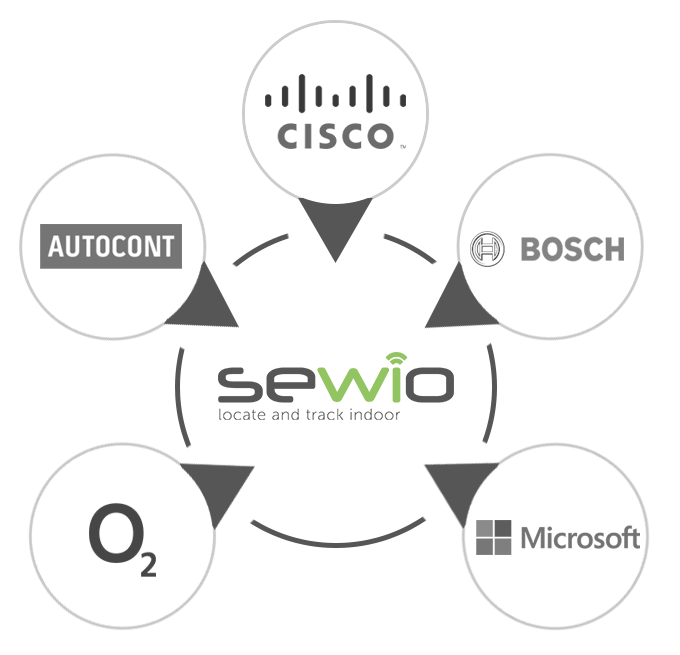 All of our visiting IoT experts were possitively surprised by Sewio´s application of virtual zones and they approved its very strong potential for industrial usage. We warmly welcomed here representatives from Microsoft, Robert Bosch, COMIMPEX, O2, CleverAnalytics, PwC, AutoCont, Cisco Systems and also JIC, Agrovýzkum Rapotín and Brno University of Technology. Sewio appreciated valuable discussion and reasonable questions given by attendants and participation in releasing networking part. Thanks to the positive reaction of the audience Sewio is considering to organize a similar workshop in next few months to expand the interest in real-time localization systems and empower our partnership network.